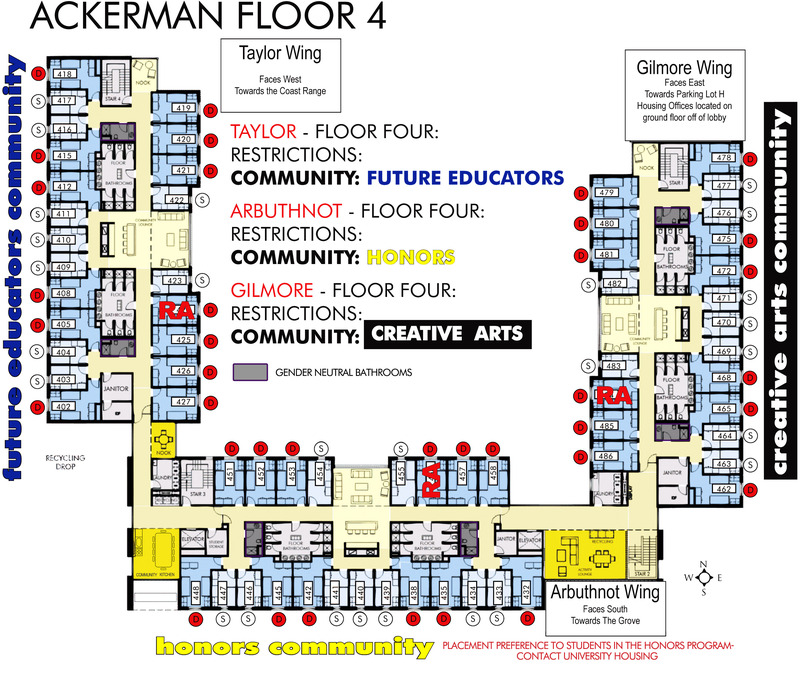 OPENED IN THE FALL OF 2010, ACKERMAN IS ONE OF THE MOST ENVIRONMENTALLY SUSTAINABLE RESIDENCE HALLS IN THE NATION! 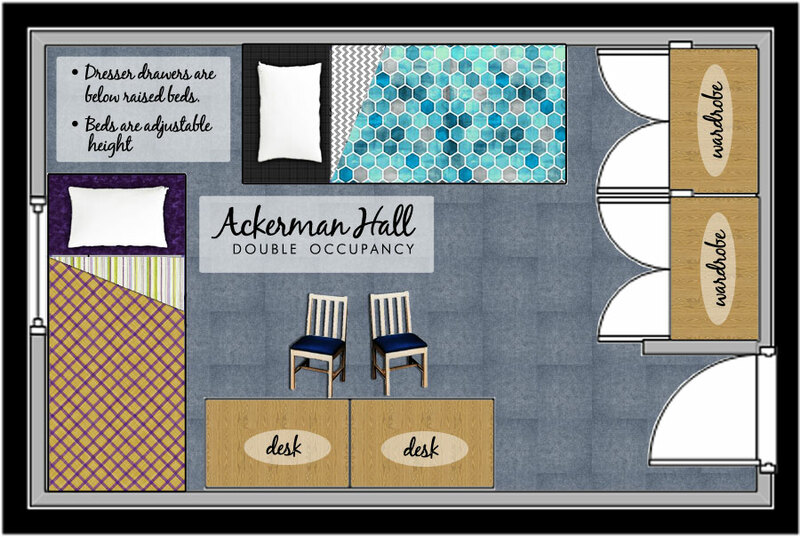 NESTLED INTO THE GROVE, ACKERMAN IS THE CLOSEST HALL TO THE CENTER OF CAMPUS, AND OFFERS HOUSING FOR BOTH FIRST YEAR AND UPPER-DIVISION RESIDENTS AS WELL AS SMART-CLASSROOM SPACE. 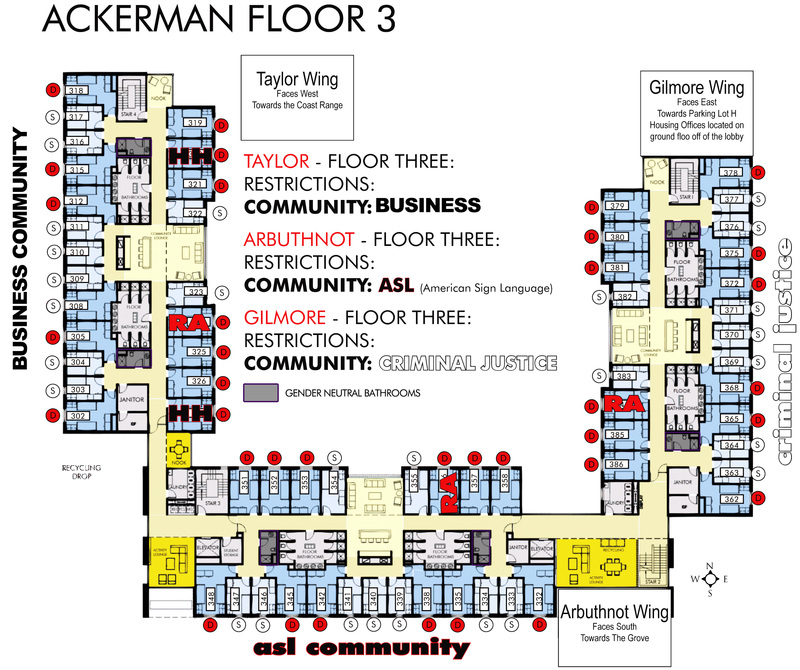 UP TO 315 RESIDENTS AND 10 RESIDENT ASSISTANTS CALL ACKERMAN HOME EACH ACADEMIC YEAR. 4 Floors, 3 Wings per Floor. Houses both First-Year and Upperclass students. Double Rooms: Approximately 162 square feet. 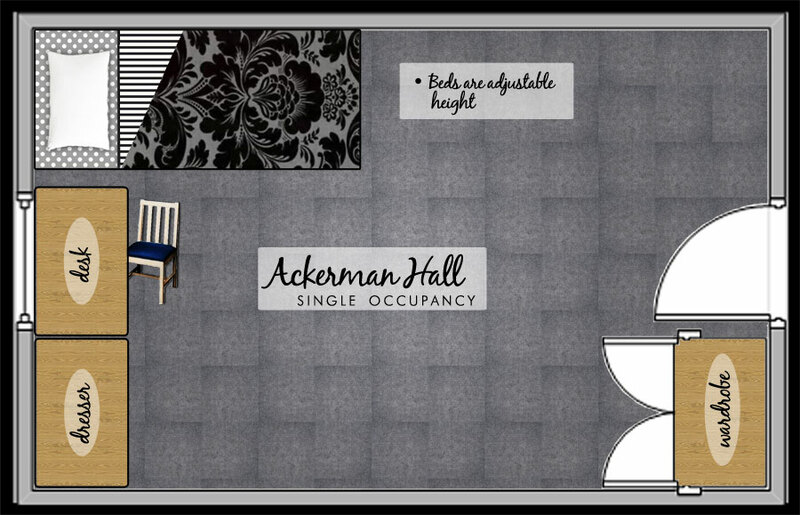 Single Rooms (very limited): Approximately 115 square feet. Offers Living-Learning Communities designed to provide living and learning space for students with like interests and academic goals. Close to Valsetz Dining Hall, the Residential Service Center, Hamersly Library, and the Richard Woodcock Education Center. 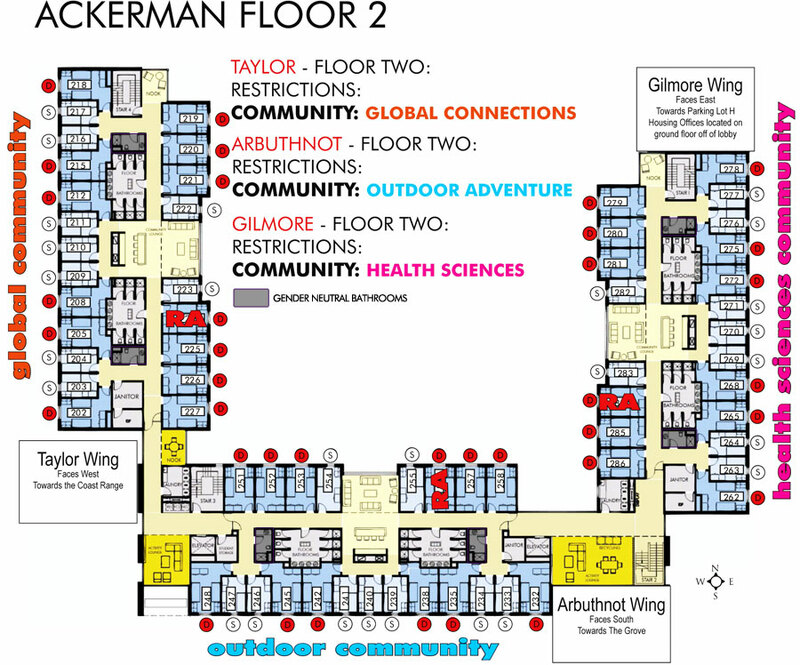 Ackerman offers the closest access to The Health and Wellness Center and the main body of campus. Same gender community bathrooms/showers are located on each floor. Two gender-neutral bathrooms are also located on each floor. 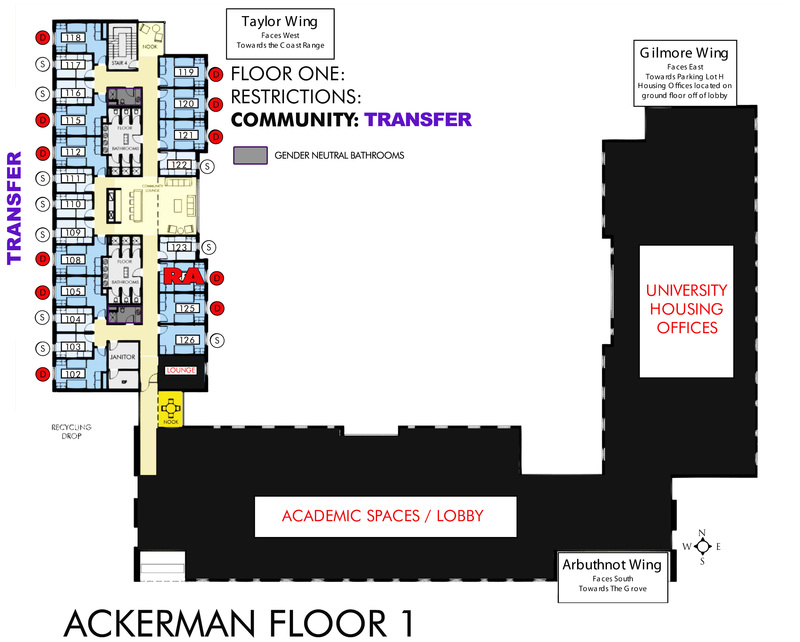 Ackerman rooms and hallways are carpeted. Equipped with an elevator for easy accessibility.